In just 8 days, my daughter (my oldest kiddo) will turn five. I cannot believe it! The years are flying by so fast. And next month, she will go off to kindergarten. 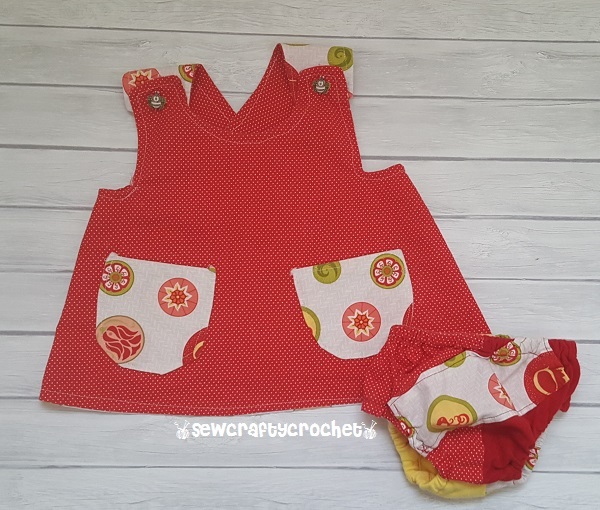 So as a countdown to my daughter's birthday, I will share posts featuring items I've sewn for her over the years all month long. 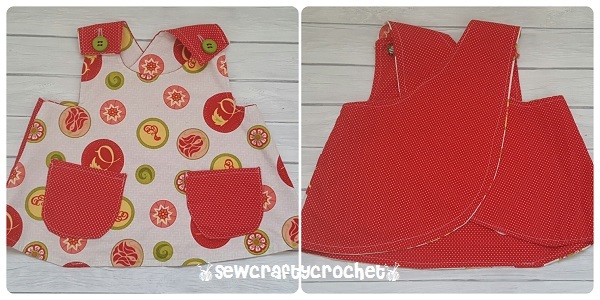 Today, I'm sharing another reversible pinafore dress and matching diaper cover I made for her when she wasjust a baby. 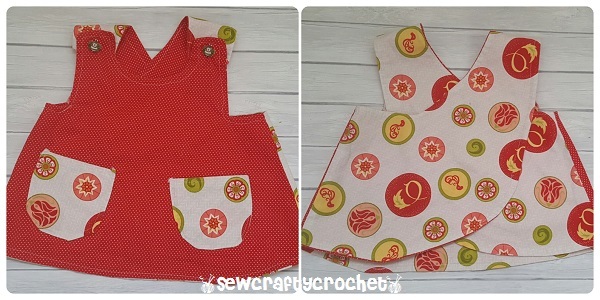 I found the pattern and tutorial for the pinafore dress at Smashed Peas and Carrots. 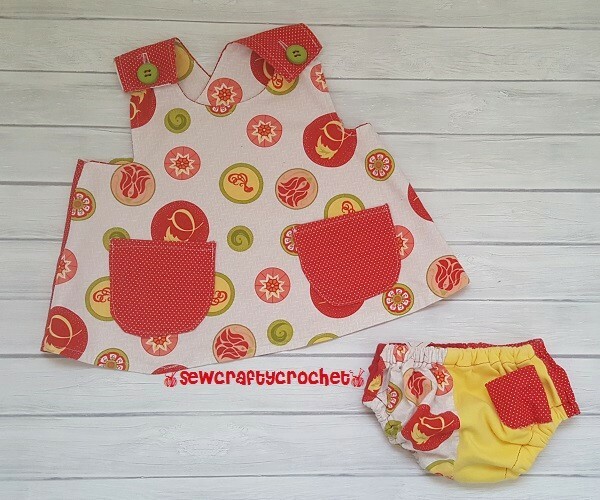 For the diaper covers, I used a pattern available at Made. The tutorial features great pictures that make it really easy for you to understand exactly what you're supposed to be doing. This tutorial is great for beginners. Here are the front and back of the diaper cover. 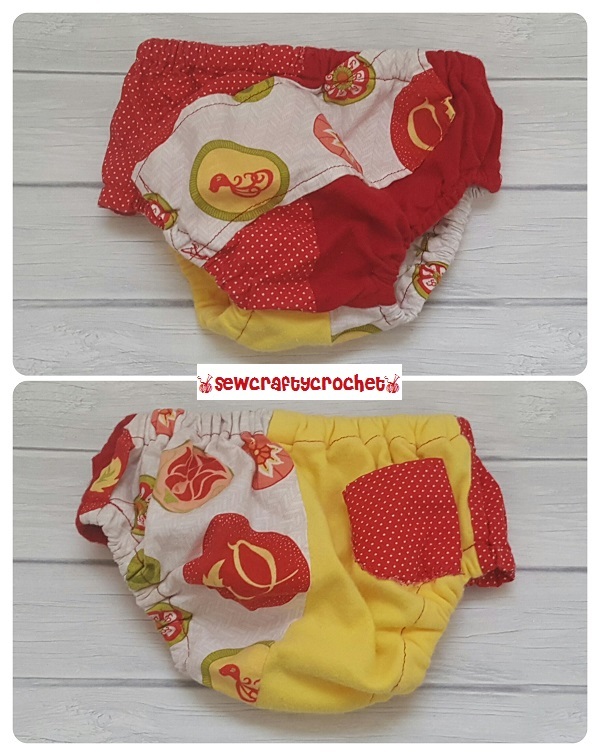 I was running low on the Sorbet Garden and red dotty fabric, so I cut up a couple of my daughter's old onesies and used the fabric to complete this diaper cover. I thought it would be cool to add a pocket on the back. 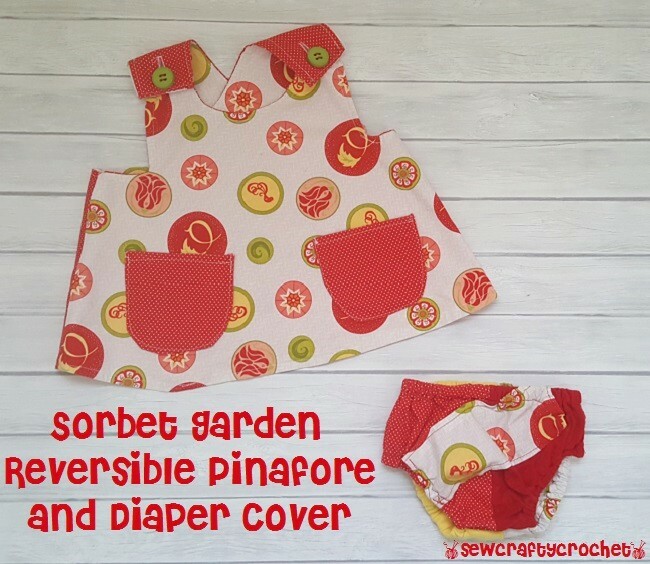 I prefer the Sorbet Garden side of the pinafore dress.